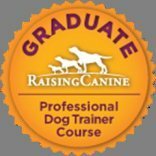 Training is not only a way to help teach your dog basic manners but it also helps with establishing a stronger bond with your dog. Gone are the days where training has become a chore trying to dominate your dog. Those things are all outdated including methods like Alpha rolls that was established in the 1950's. Since then we have evolved our methods and come to understand learning theory giving us as pet dog owners and trainers a much more ethical approach to dog training with scientific proof to back it up. This means we are able to target our training by not making use of anthropomorphisms (which is to give animals human emotions)but by applying training through what science has proven to be effective over many trials. This does not mean animals don't have emotions, but by guessing what they think and feel animals have been miss treated over many years. Instead we work on behaviour that we can measure. we can train dogs by letting them know what we want and not just what we don't want. 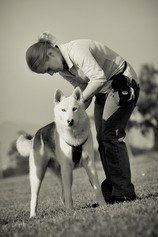 Training is not only about teaching your dog to sit or walk at heel,instead it's about an over all well balanced dog by setting boundaries and structure and being consistent. However some of these we do create by teaching basic manners. 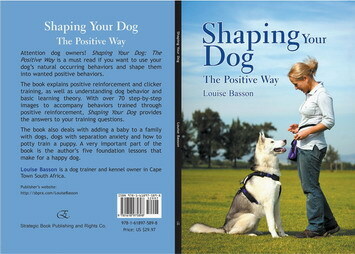 To order our training and behavior book;Shaping Your Dog The Positive Way, please complete our contact form. Price: R280.00, 96 pages with more than 70 color illustrations.